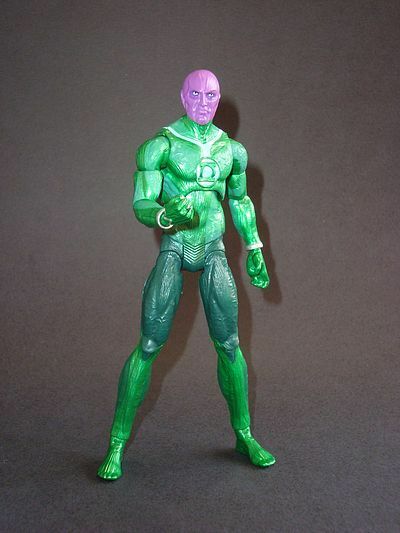 Laercio from Brazil is checking in tonight with a guest review of some of the new Green Lantern figures - take it away, Laercio! 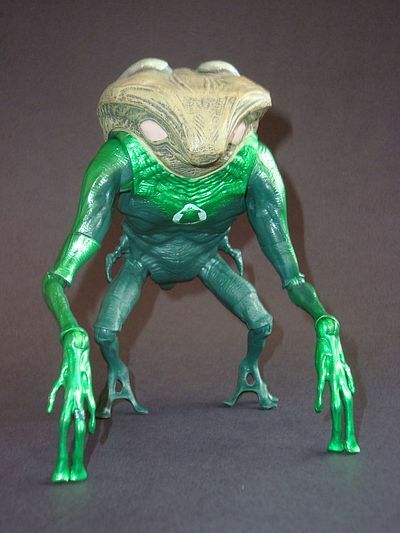 Hi, here's Laercio from Brazil to www.mwctoys.com, some years after my first guest review. I hope that you enjoy it. 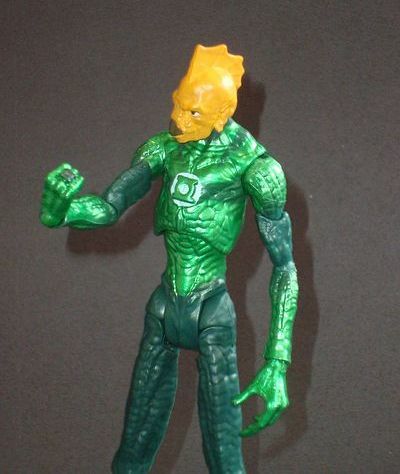 I got early samples of some of the Mattel's Green Lantern Movie Master figures. 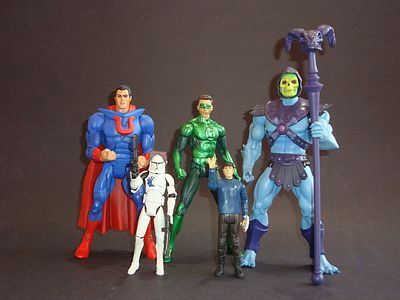 Hal Jordan, Abin Sur , Tomar Re, Rot Lop Fan and Naut Kei Loi. Most of them started to arrive at the US shelves right now. I've been expecting to get these figures since I first saw them at NY Toy Fair, and it worth all the waitting. Unfortunatelly, they came without the original packaging, and it's respective Parallax piece, but I just forgot about it the first time I get my hands on them. These figures are really incredible. Alot of detail, nice paintings (specially Naut Kei Loi) awesome sculpting and a big variation in articulation (wich came in generous portions). 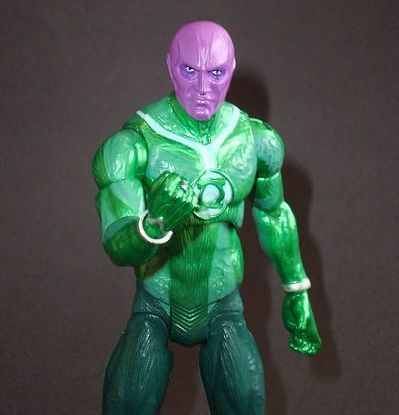 All of these Lanterns appeared previously at comic books (even if their design was changed, or IMO upgraded) and Rot Lop Fan even brings a really cool detail, the bell symbol he uses in the place of the GL corps logo. I strongly recomend that you search for Tales of the Green Lantern Corps Annual # 3(1987) (cool Alan Moore comic) to know why. If you compare with other Mattel lines, like DCUC or MOTUC that collection looks to be the greatest challenge in terms of sculpture. 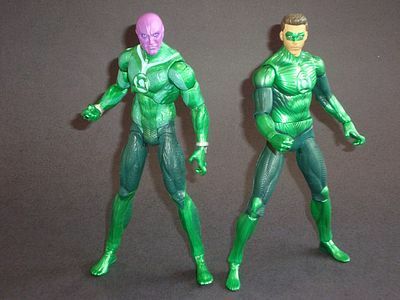 At first you would think that Hal and Abin Sur would share most of it's parts, since both have a human body, but if you look closer you will see that they don't share even a single piece. Every one of them has a unique texture in its skin and costume. Naut Kei (the fish guy) is so completely different from from Rot Lop Fan (the I-don't-know-what-that-thing-is guy) that it's impossible to share any parts, and all of them is a perfect representation of the movie designs shown until now. The most impressive sculpt IMO is Naut Kei. You must check the pics a lot of time to get all the detail. This little guy has more detail in it's head than most figures have in it's entire body. 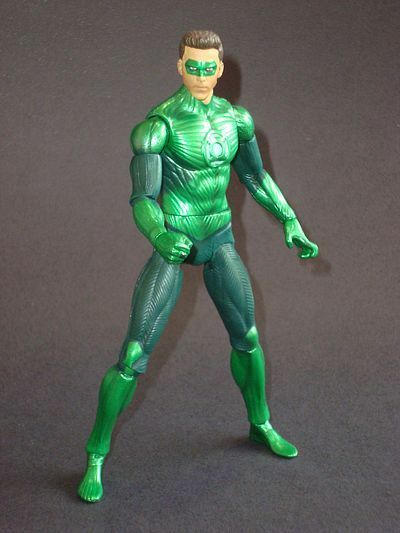 Hal Jordan has all the sculpted detail of it's CG costume and the Ryan Reinolds likeness is awesome. 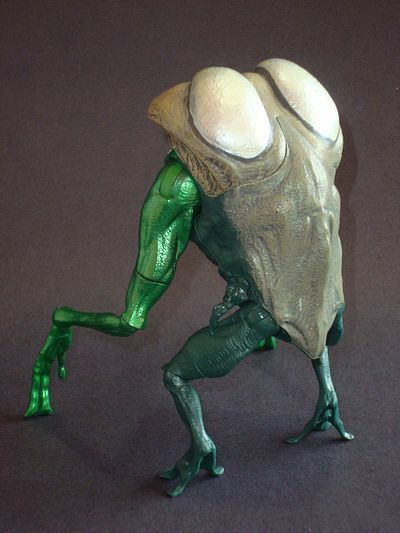 They're so uncommon, but so well sculpted that they're believable aliens. Check the pics and you will see what I'm talking about. The painting is almost flawless in all of them, and Nat Kei has the most impressive of them with a bigger variety of colors used, followed by Rot Lop Fan. The colors of the others varies on the head and small details. All really well done. The lighting used in the pics cause a small problem because of the metallic, bright green paint used in their costumes. It looks way better in person, not to mention the darker shade of green wich is really darker that it appears in the pics. 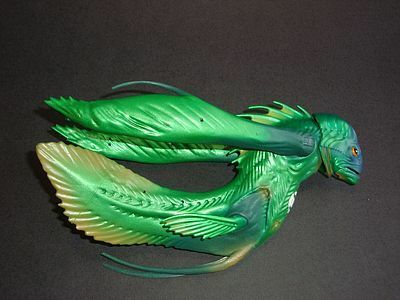 The paint is way more cooler when you see actual figures, insteady of the pictures. 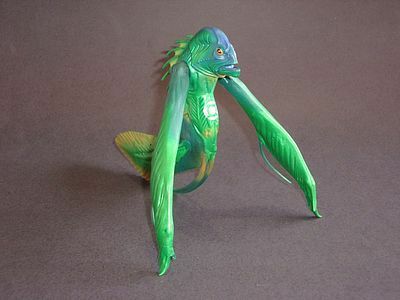 There's a lot of articulation, but the score would be better if some of them had a better range of movement. 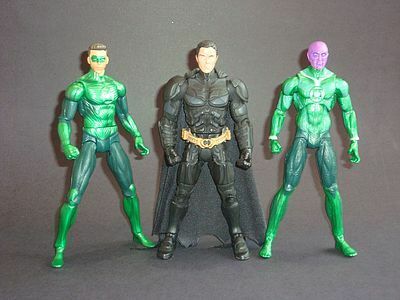 All of them (except Abin Sur wich was released in a 2-pack with Hal jordan) comes with a Parallax piece, and Hal Jordan comes with a battery. 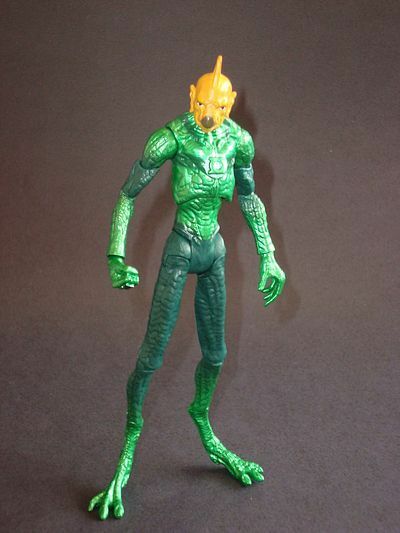 There's a lot of super powered weird alien creatures based on a comic book inspired movie. It couldn't be cooler. Could it? I couldn't tell, since these are the unique figures I've seen and I just don't know how much these will cost in the US stores. 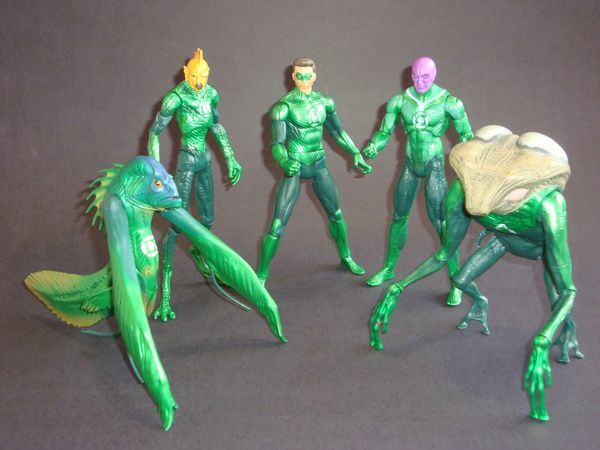 These figures are unbelievable, the sculpts and paintings are fantastic, they have a lot of articulation, they look awesome together, and it's the Green Lantern corps!. 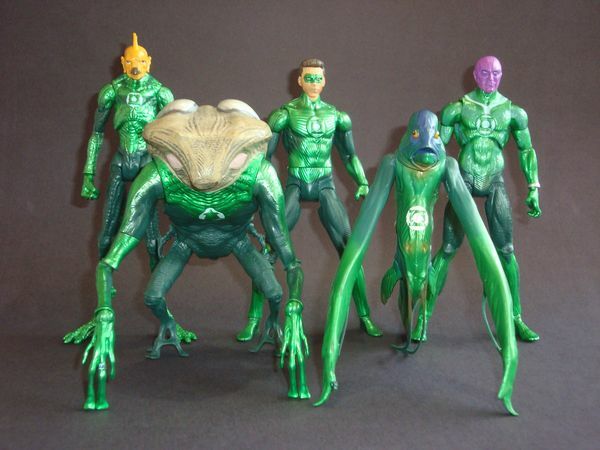 I just can't wait to see all 12 of the GLs side by side (yeah, the Green Lanterns Movie Masters figures will have 16 different charcters released, according to various sources) fighting against a 14 inch Parallax C&C figure. Beware my power! This product was purchased for the review by the reviewer. Photos and text by Laercio.